Here's an album that may hit your sweet spot if you are as insufferably pretentious as I. It is the poetry of Dorothy Parker set to music. (You were her in high school? ME TOO!) Thanks to Big Ten Inch Record for this post that is equally essential and irritating. 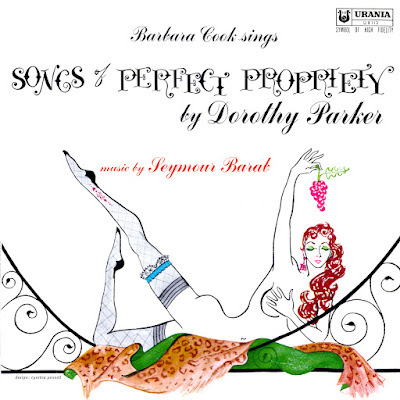 Barbara Cook runs the entire gamut from A to B.